Martin Halliwell, SES’s CTO, says the operator plans on launching fully digitised payloads, cutting out almost all of the cabling, eliminating more than 100 frequency converters, switches and filters – and saving a huge amount in terms of launch costs. In other words, SES will use software-based switching for these ‘next-generation’ satellites, and on-board digital processing to seamlessly switch a transmission from technology to technology in an extremely flexible manner. SES’s on-board Digital Transparent Processors (DTP) will, like any data router, use digitised signals and route a client’s signal/s in a much more dynamic fashion. They can tap into multiple beams from the satellite, combining them into a single loop if they wish and thus connecting the end result to potentially multiple gateways and users anywhere and totally seamlessly – and efficiently – within the satellite’s footprint. In essence, these DTP’s can make use of frequency sharing, or even frequency re-allocation depending on the task at hand. The satellite can then easily be ‘modified’ while in space to reflect different market demands and conditions. It also leads the way to an ‘off the shelf’ digital processor that can speedily be installed into a satellite and eliminate the hundreds of hours needed for a complex wiring loom to be built. It is understood that SES-14 will be the first of the SES fleet to be equipped with a DTP installation. SES-14 will be positioned at the 47.5 degrees West position and support new capacity needs over the Americas and North Atlantic region. It is due for launch in Q4/2017. 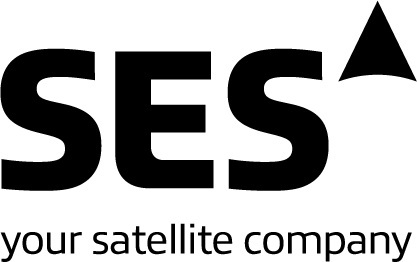 SES-14 will offer multiple Ku-band High Throughput spot-beams, as well as wide-beam Ku-band coverage over the region, with special beams for Brazil and the Eastern seaboard of the US. It is being built by Airbus.